The most people today are interested in dieting counting calories. And now we know that too many calories aren't good. But what is a calorie, and how do calories connect to healthy eating and your weight? A calorie is an energy unit. As of dieting it is a food energy unit. A calorie(cal) is the amount of energy, or heat, it takes to raise the temperature of 1 gram of water 1 degree Celsius (1.8 degrees Fahrenheit). The kilocalorie(kcal or Cal) or food calorie approximates the energy needed to increase the temperature of 1 kilogram of water by 1degree Celsius . This is exactly 1000 calories or about 4.2 kilojoules. In nutritional contexts calorie is a too small unit. That is why the term calorie is used for the term kilocalorie (symbol: kcal), being 1000 calories = 1 kilocalorie. Therefore, in nutritional contexts calorie and kilocalorie are the same size. 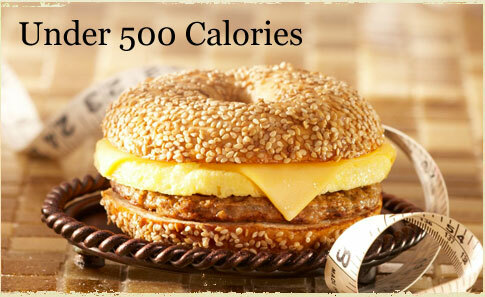 To avoid confusion the kilocalorie is sometimes written as Calorie (with a capital C). Another measure of energy is the joule, and some countries (such as Australia) have this as their food energy unit. It's easy to convert calories to joules: there are 4.2 joules in every calorie. People need energy to live and we take this energy from food. Everyone needs calories to move, breathe, pump blood and at least for digestion process. If you eat more calories than you need (for normal metabolic functions and for the activity which you do), then your body will store the extra energy as fat. If you eat fewer calories than you need, your body will burn fat to provide the extra energy. That way calories work. Our bodies "burn" the calories in the food through metabolic processes, by which enzymes break the carbohydrates into glucose and other sugars, the fats into glycerol and fatty acids and the proteins into amino acids. These molecules are then transported through the bloodstream to the cells, where they are either absorbed for immediate use or sent on to the final stage of metabolism in which they are reacted with oxygen to release their stored energy. How many Calories do we need in one day varies depending on your body type. Everyone has different food requirements depending on the amount of fuel needed to keep the body ticking correctly. The important thing is to eat enough calories to be healthy without putting on weight. All the energy from food that we eat should be the same as amount of energy that we spend. That’s why you have to know how many calories food that you eat has, and how many calories are spent by exercises and activities that you do during the day. The simplest way to calculate your daily calorie requirements is by multiplying your weight by 17 (this is a formula for moderately active people). You could get 1500 calories simply by eating 300g of chocolate. However, it would be very wrong, because it is important that you get those calories from different kinds of food, especially from fruits and vegetables. Most often, junky food has lot of calories, and that’s why people gain weight so easily. The more time spent exercising the more calories will be burned. Obviously, when you exercise, your body burns calories to fuel your activity. But exercise is the gift that keeps on giving. That's because even after your workout has ended, your body is still burning more calories. Engage in an exercise you enjoy for about 40 minutes daily at least four days a week. It is generally believed that after twenty minutes, your heart rate is sufficiently high to burn fat. If you want to prolong this calorie-burning effect exercising for longer periods. Increase your after-meal burn by eating more vegetables and phasing out meat and dairy products. Your body expends around 200 calories to digest your food. People who eat fibrous fruit, vegetables, complex carbs, and low-fat meat burn even more calories. Significantly increase your vegetable to non-vegetable food ratio. When preparing a meal, increase your vegetable portion. For example, if your dinner plate consists of 1/3 meat, 1/3 carbohydrates (such as rice, potato or pasta) and 1/3 vegetables, change the ratio to ½ vegetables, ¼ meat and ¼ carbohydrates. You're still satisfying your taste buds by eating the foods you like, you're just modifying the portions to include more vegetables. Eat raw vegetables when possible. The cooking process can strip the vegetables of some of their vitamins and nutrients. Research has consistently shown that the people who successfully lose weight are the ones that wake up and eat. Furthermore, people who eat breakfast regularly have better vitamin and mineral status and eat fewer calories from fat. When people skip breakfast, they tend to eat more calories by the end of the day. So it seems that breakfast really is the most important meal of the day. When you do not eat breakfast, you metabolism plummets. If you're trying to lose weight, this is the last thing you want. Eating a healthy breakfast helps you control your impulse to eat when you are stressed out, prevents you from snacking between meals and overeating at lunch time, and jump starts your metabolism for the day, and revving up your fat burning ability for enhanced weight loss.